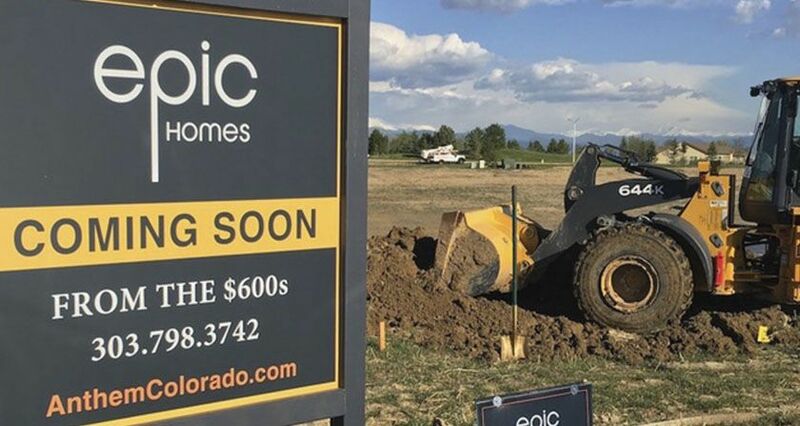 Broomfield, CO – WEBWIRE – Building on its repertoire of successful new home introductions, locally owned and operated Colorado homebuilder, Epic Homes, has just broken ground on the first of its 70-homesite enclave in Broomfield Colorado’s popular Anthem community. Introducing its award-winning Summit plan as the first offering of its innovative collection, Epic Homes plans to begin pre-sales on June 10th. With a bevy of inviting lots in its initially available group, many of which back to open space, feature phenomenal mountain views and come situated in close proximity to the 32,000 square foot community center, Epic’s new Anthem Highlands series starts in the $600s. Providing for an unusually wide variety of home buyer lifestyles and life stages, homes in Epic’s Anthem Highlands offering range in size from 2,462 to 6,125 square feet and from two to eight bedrooms. Each model in the series offers imaginative innovations to suit a wide range of home buyer needs and wants. The Anthem community features a myriad of family-friendly amenities, including numerous parks, trails, playgrounds and ponds, two recreation centers as well as a brand new, on-site P-8 school (now under construction), part of the highly regarded Adams 12 Five Star School District. Add to that the community’s excellent Broomfield location, with easy proximity to Denver area and other world-class Colorado attractions, local conveniences, excellent schools, major universities, transportation, employment centers, entertainment and nightlife, and you have the makings of a hot-selling, rapidly appreciating new home community. About the builder: Epic Homes is a Denver-based homebuilder founded by Christina Presley in 2015, with a vision of building quality new homes and quality, long-lasting relationships. The Epic Homes team is committed to building new homes with the very same passion and pride their customers have for living in them. Epic Homes is obsessive about the details and the company is of a size that allows them to be intimately involved in every home they build.